COLLEGE STATION – Last week, in front of over 250 supporters at his campaign kick – off, State Representative Kyle Kacal (R – College Station) announced he would be running for re-election to the Texas House of Representatives. Rep. Kacal represents House District 12, which consists of Falls, Limestone, and Robertson Counties and large portions of Brazos and McLennan Counties. In his time spent serving, Rep. Kacal has rapidly become an effective conservative voice on the floor of the Texas House, working tirelessly to represent the issues and matters of utmost importance to the people of House District 12. In the 85th Legislative Session, Representative Kacal served on the influential Calendars Committee, Environmental Regulation and Natural Resources Committees, and served as Vice Chair for the House Rules and Resolutions Committee. As a proven legislator for rural Texas, agriculture, and other key issues, Representative Kacal has a record of accomplishing the priorities important to the residents of House District 12. Representative Kacal maintained a balanced budget while preserving the Rainy Day Fund, protected and expanded access to our 2nd amendment right s, defended the unborn, fought for private property rights, and cracked down on illegal immigration by putting an end to dangerous sanctuary city policies. 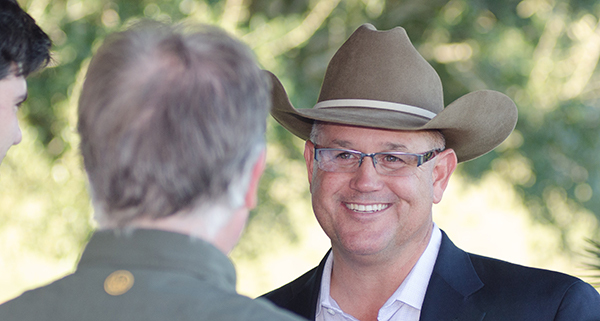 In addition to his public service, Rep. Kacal runs a large – scale cattle business as well as a full – service hunting operation. His extensive experience in what it takes to run a business and raise a family in rural Texas has given him the tools necessary to successfully represent the voters of House District 12. Kyle and Marci, his wife of 24 years, have two children, Carter and Kendall. The family is actively involved in their church, St. Thomas Aquinas and Rep. Kacal continues to be a leader in the Texas Farm Bureau.